As I said in my previous post Why this homosexual reading of Secret Mark? I intended to publish the reply I made at “Jesus Mysteries” to Jake Jones IV’s summary of Stephen Carlson’s The Gospel Hoax. I have elaborated a bit more on that reply and also made it a bit less polemic, but as it covers most of Carlson’s book my intention has never been to make an in depth formal examination of every argument he presents. The list published by Jake Jones IV was his summary and I will comment upon that summary, point by point. Some arguments I will elaborate more in detail, other I will just make some short comments upon. I will first present Carlson’s arguments (as summarised by Jake Jones) set in blue and my comments beneath set in black. 1. Theodore and Secret Mark reflect the sexual mores of the 1950’s rather than the 200’s. In my opinion, neither the letter to Theodoros, nor Secret Mark, reflects any sexuality. No matter what people say, that is merely an interpretation of the text. Let us study what the text actually says (the translation is Morton Smith’s own). 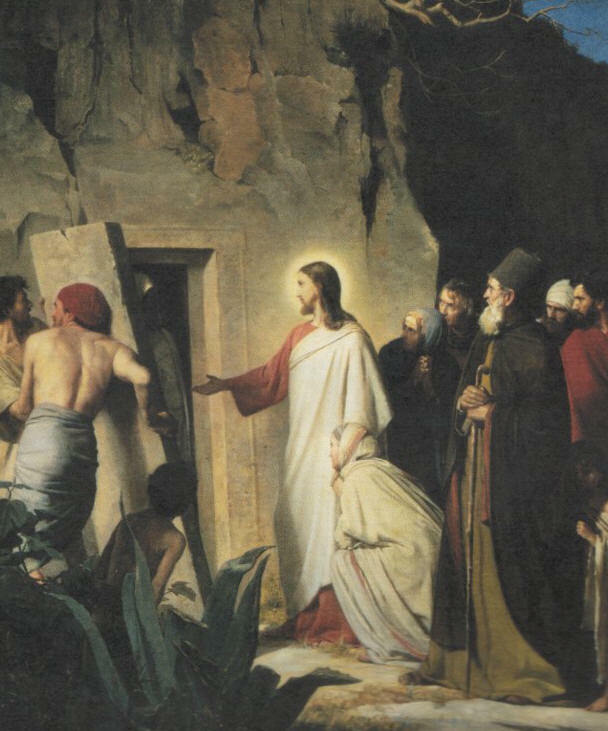 After Jesus has raised the youth (Lazarus), “the youth, looking upon him, loved him and began to beseech him that he might be with him.“ To be with someone would in the ancient world not be synonymous with dating in modern terms, but more in line with joining or following someone. And the Greek word translated as “loved” is ἠγάπησεν. Agapaô means ”felt love for” and is normally used in a ”Platonic sense” to feel affection or true love and is not to be confused with ἔρως (erôs), the more sexual attraction. Remember that the same word agapaô also is used in John 11:5 when Jesus is said to love “Martha, and her sister, and Lazarus” (ἠγάπα δὲ ὁ Ἰησοῦς τὴν Μάρθαν καὶ τὴν ἀδελφὴν αὐτῆς καὶ τὸν Λάζαρον). And it is obvious that the youth in Secret Mark is the same person as Lazarus in John 11. “And after six days Jesus told him what to do and in the evening the youth comes to him, wearing a linen cloth over his naked body.” Again, I believe that many people are fooled by the translation. To wear something over your naked body is NOT to be naked. In Swedish the correct translation would be “på sin bara kropp”, i.e. “on his bare body”. The focus is not on the nudeness, but instead on the fact that there are no other clothes beneath. You could say that he wore his shirt on his bare body and the only thing that this means is that he had no undershirt. I don’t know how this is expressed in other languages, but in Swedish it could hardly be expressed as “he wore his shirt on his naked body” (han bar skjortan utanpå sin nakna kropp) only “on his bare body” (på sin bara kropp). The focus is not on the nudeness but on the fact that wears only a pure “linen cloth”. “And he remained with him that night, for Jesus taught him the mystery of the kingdom of God. And thence, arising, he returned to the other side of the Jordan.” Again the translation “remained with him that night” or “stayed with him that night” is a modern expressions which often means that people sleep with each other. Also Eckhard Rau says that in modern terms this is perceived as “spend the night with as ‚to copulate with casually’“. (see my REVIEW: Weder gefälscht noch authentisch? By Eckhard Rau.) Stephen Huller compares it to the “Rolling Stones ‘Let’s Spend the Night Together”. One should also remember Mark 14:51–52: “there followed him a certain young man, having a linen cloth cast about [his] naked [body] … [a]nd he left the linen cloth, and fled from them naked.” Further there could not possibly be anything sexual about the fact that “Jesus taught him the mystery of the kingdom of God” since in Mark 4:11 also the other disciples “is given to know the mystery of the kingdom of God”. As I said in my previous post Why this homosexual reading of Secret Mark? I cannot see why people believe this has anything to do with homosexuality or sexuality at all; especially when you realise that this story hardly is based on any historic event. 2. Morton Smith was a life long bachelor, and as far as we know, he was gay. Thus Smith would have a personal interest in attitudes about homosexuality in the 1950’s. Apart from Morton Smith actually being a bachelor, there is no proof that he was gay. In fact we have two witnesses to the contrary as Morton Smith seems to have been dating women. Of course some people said that he was homosexual and there seems to have been a lot of gossiping. I prefer not to listen to gossip. It could be that he remained a bachelor all his life because of his disappointment with the outcome of his love affairs. And even if he was gay, why would that suggest that he was a “criminal”? Are we living in the Middle Ages, where homosexuality was considered a crime and would lead to Smith committing this “crime”? I see no reason at all to suspect someone for being a criminal, or for that matter being immoral, just because he is homosexual. Those who read Swedish can also se my blog post: Förtalet av Morton Smith som en illvillig homosexuell bedragare. 3. There is zero evidence for the antiquity of Secret Mark other than Morton Smith’s discovery. 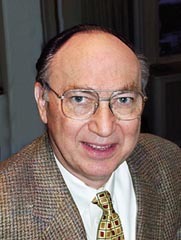 It is true that there is no evidence for the antiquity of Secret Mark other than Morton Smith’s discovery. But if it would be a criterion that a text necessarily needs to be testified for in antiquity in order to be genuine, this would mean that we already know of every scripture that ever existed. There is also no evidence for Q (if one believes in Q) or the Egerton gospel (until its discovery last century). One must realize that the absolute majority of all texts in the Antiquity has been lost. 4. According to SC, Morton Smith never stated unambiguously that he discovered Secret Mark at Mar Saba. Such descriptions are always carefully guarded by conditionals. Such “weasel wording” is evidence of Smith trying to convey a false impression while avoiding a lie in the technical sense. That Smith never stated unambiguously that he discovered Secret Mark at Mar Saba, I find to be just semantics. Smith was seized with fury against those who accused him of forgery and was hypersensitive to any suggestion in this direction, something that Per Beskow found out when Smith threatened Beskow’s publisher to sue him for a gigantic sum if he would publish a book in which Beskow only pointed to the possibility of a forgery (see my article: Per Beskow and the Elusive MS over at Timo S. Paananen’s blog). 5. Morton Smith was well qualified to perpetuate such a hoax. b. Morton Smith had an intimate knowledge of monastic libraries, particularly Mar Saba which he had visited previously. c. Morton Smith had inspected, photographed, and transcribed dozens of Greek manuscripts, many of which he dated to the 18th century. d. While at Drew, Smith had become interested in the Philosophumena of Hippolytus, which includes a discussion of the Carpocratians. e. Smith, in March 1958, published an article, ”Image of God”, that cited Clement of Alexandria four times. Of course Smith was a very knowledgeable scholar, but I don’t think people in general realise what it would take to accomplish a forgery like this letter in the 1950’s. Smith was a “document hunter”. He visited many monasteries during several travels and did then catalogue ancient books in those monasteries. Then of course Smith was just that kind of person we would expect to make a find like this one. Only those who searched for ancient manuscripts could possibly find such manuscripts. Helmut Koester tells us that he spent some time with Smith (a week), helping him to decipher the letter, and came to realize that Smith did have problems to understand the letter and could not even properly decipher the difficult Greek handwriting of the letter. What is it worth that a Biblical scholar like Smith “cited Clement of Alexandria four times”, or that he was interested in a text where the Carpocratians were discussed? What Biblical scholar has not quoted Clement or read about the Carpocratians? It takes a lot more to make a forgery of this “size” than having studied a certain subject. 6. Smith’s authentication of the manuscript by ten colleagues to “about 1750, plus or minus about fifty years” is inadequate. (pages 23-25). a. The experts never saw the original document. b. We don’t know if the experts saw photographs or photostats. c. We don’t know how much time was spent by each respective college. d. The results are filtered through Smith. We do not know if he understood them correctly, or if any qualifications were expressed. e. Most of the experts were consulted orally, so we have no record of what was said. f. They were simply asked to date the hand. This is entirely too informal. 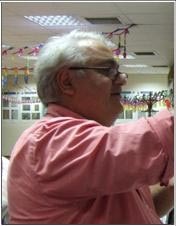 g. The possibility of forgery and suspicious details was inquired upon after the documents were inspected. In fact, the wording used by Smith may indicate that only a single expert was asked about a hoax. h. There is no evidence that the ten colleagues were provided with any comparison documents. i. Smith did not deem it necessary to itemize the replies. This amounts then to nothing more than hearsay by a possible hoaxer. On the other hand no one has said that the writing does not look like it is written during the early or the middle of the 18th century. The only objection seems to come from Agamemnon Tselikas, who on the other hand still has not published anything on this subject and who admits that the writing looks like an early 18th century hand. I would also say that the differences between the handwriting of the Cephalonia MSS (which Tselikas believes that Smith imitated and of which I have only seen very poor images) and the handwriting of the Mar Saba letter, are significant. If someone tried to copy that hand he or she did a very poor job. “The whole writing shows freedom, spontaneity and artistic flair. It also shows a skillful penmanship of a well educated and trained writer who uses the language effectively in expressing his thoughts” (see her Handwriting Examination). “is written in a natural and spontaneous way and in my opinion, does not have such indications so to make us think of a suspicious writing” (see Can a Document in Itself Reveal a Forgery?). 7. The Letter to Theodore containing Secret Mark was not forged flawlessly. It shows ample evidence of being a forgery. This now belongs to the past. Carlson’s handwriting analyse has failed every criterion. He says that the letter shows signs of forgery by blunt ends, pen lifts, retouching, shaky lines and forger’s tremor. But he was wrong, yet managed to deceive many scholars into believing this. All of these “signs” which Carlson spotted was not in the writing but an effect of the line screen that was used when the images were printed in Morton Smith’s book. If Carlson had consulted the original photos instead of the printed copies, he would not have found those signs. I did show this already in 2009 (see my article: Tremors, or Just an Optical Illusion? A Further Evaluation of Carlson’s Handwriting Analysis) and Carlson has not yet even commented upon this (or anything else). Since a couple of years he is totally silent and he even declined BAR’s invitation to respond to Scott Brown. 8. SC identities Theodore and Secret Mark to be written in the same hand, photographed and published by Morton Smith, assigned number 22 in Smith’s catalog (pages 42-43). Smith dates the first hand, not to the 18th century, but confidently to the 20th century, and attributes it to M. Madiotes — the ”bald swindler”. Smith was folically impaired, so this is a confession. The so-called M. Madiotes argument is another total disaster in Carlson’s attempt to accuse Smith of forgery. Carlson was wrong on every aspect as he had totally misunderstood what is in the text. 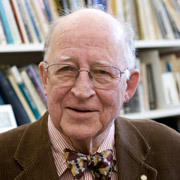 In 2008 Allan Pantuck and Scott Brown published hitherto unknown material from Smith’s literary remains, in the article Morton Smith as M. Madiotes: Stephen Carlson’s Attribution of Secret Mark to a Bald Swindler. First of all, MS 22 is not a text written by one person, but a set of short texts written by several people. Secondly, the text that Carlson claims is written in the same hand as the Clement letter is not written in the same hand, but in a markedly different one, yet still a characteristically eighteenth-century handwriting. Thirdly, Smith had not dated this text to the twentieth century. He had not dated it at all, nor commented on it. Fourthly, the text is not signed by M. Madiotes. It is not signed at all. That is because the text supposedly written by M. Madiotes is a different hand on the same page. Fifthly, the text said to be by M. Madiotes is written in a different style and upside down in relation to the text Carlson assumed was written by M. Madiotes. Whoever wrote this, wrote nothing apart from the name (his name?). Sixthly, it was therefore only the name that Smith dated to the twentieth century. The text that Carlson mistakenly thought that Smith attributed to M. Madiotes is in contrast written in typical eighteenth century handwriting. All in all, so to speak, six errors of fact! Besides, the name probably was not even Madiotes. Smith probably made a mistake in reading the faint name, which seems to have been M. Modestos. For those who read Swedish there is an article that I wrote called ”M. Madiotes”-argumentet, which is based on Pantuck’s and Brown’s discovery and where I also added some extra material for comparison. 9. Theodore begins with a sphragis, ”From the letters of the most holy Clement, the author of the Stromateis.” This is evidence of a forgery. See pages 54-56 of The Gospel Hoax. A so-called sphragis (Greek: σφραγίς) is a seal of authenticity. Carlson suggests that the letter contains information that was not necessary to know for the receiver of the letter and therefore was added by a forger to make the letter look authentic. The first line of the letter does not begin with a sphragis, and neither did Carlson say that it did. The first line is a headline added later to identify the letter. The letter could have been part of a larger collection, as we know that there existed such a collection of letters by Clement at Mar Saba in the early eight century. Carlson instead claimed that that the alluding to Clement’s condemnation of the Carpocratians (which was already known) is a sphragis, and so also the information that the secret gospel was still being kept in Alexandria (according to Carlson an unnecessary detail if Clement was still in Alexandria). Carlson also sees the quoting of the long passage from Secret Mark with the exact information of where it was placed, as an unnecessary detail only meant for the modern reader. Scott Brown does however show that Clement on other occasions do quote a text in its entirety when he believes that the text was distorted and then also gives the “correct” interpretation of the text. (Scott G. Brown, The Letter to Theodore: Stephen Carlson’s Case against Clement’s Authorship, JECS 16:4, 2008). “The letter to Theodore is plausible in light of letter writing in the late second or early third century and has tight generic coherence in form, content, and function.” (Jeff Jay, A New Look at the Epistolary Framework of the Secret Gospel of Mark, JECS 16:4, 2008, p. 597). 10. SC gives credit to Andrew Criddle (p. xv) who identified that Theodore is hyper-Clementine (a deliberate imitation of Clementine’s style). Although Carlson does misrepresent what Criddle actually said in his statistical study of the letter, Criddle’s objection still is interesting, yet far from conclusive. Criddle counted the words never before used by Clement and the words he only used once before. The ratio he got from dividing these figures were then compared to an expected ratio. In Criddles study there were too many words which Clement used only once before and too few which were never before used by Clement. The ratio was 4/9 whereas it according to Criddle should have been 8/5. But this could not possibly make the letter hyper-Clementine, because one cannot say that the words Clement never used or previously used only once are words which are typical for Clement – quite the contrary. Andrew Criddle’s study was called On the Mar Saba Letter Attributed to Clement of Alexandria, JECS 3.2, 1995, 215–220. For those who read Swedish I have evaluated Criddles study at Andrew Criddles statistiska undersökning av ordfrekvensen i Klemensbrevet. 11. A work of Christian fiction, entitled The Mystery of Mar Saba, by James H. Hunter, was originally published in 1940 but frequently reprinted afterwards. The story revolved around the discovery of a revolutionary, ancient text in the monastery of Mar Saba that turned out to be a forgery (the Gospel Hoax, page 19). The forgery in the book is discovered by a scholar while he was cataloguing the manuscripts there. The Mystery of Mar Saba mentions the rolling away of stones and of linen clothing. It appears that Morton Smith modelled his hoax on the book. The similarities between Smith’s discovery and James Hogg Hunter’s novel from 1940 are just imaginary similarities. The purported similarity between The Clement letter and Hunter’s novel is based on mathematically flawed statistics. You need to take into account every other novel that has been written before 1958, because if you start by looking for a novel with a content that resembles the Clement letter and its discovery, the chance of finding one that shares some similarities rapidly increases with the number of books you put into the calculation. If you’re allowed to use the whole world literature with its vast number of novels counted in hundreds of thousand or perhaps millions, the chance of finding a novel which at least superficially resembles the finding of Clement’s letter, seems to be fairly high. Further you have to take into account that they both are, and are relying upon, Gospel material, and therefore are bound to show similarities. Further the purported similarity that both are forgeries made at Mar Saba is not to be dealt with in a statistical analysis, since the suggestion that The Clement letter actually is a forgery cannot be part of any parallels when in fact this very issue is the thing that is proposed and therefore the object of the investigation. If that is put into the calculation, it will be part of a circular reasoning. The question we should ask ourselves is if we were to take any event in modern history and tried to find a novel written before that event with a content that resembles it, would we likely come up with a parallel? 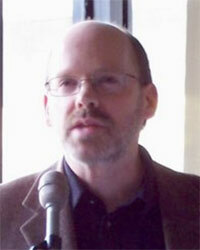 As Francis Watson in the article, Beyond Suspicion: on the Authorship of the Mar Saba Letter and the Secret Gospel of Mark (JTS 61, 2010, 128-170), further elaborates on these purported similarities, and since I have already examined some of his claims, I chose to direct my critique at Watson instead of Carlson in this point onwards; although the critique is valid also for Carlson. After Francis Watson has summarized the plot of Hunter’s novel, he says: “Thus far, the parallel with Smith’s Mar Saba discovery is intriguing but inexact.” Yes, because the only real similarity he presents is the place of Mar Saba, where of course you could make a discovery of this magnitude and also a place you easily would chose in a novel for the same reason. And there is no similarity that both documents are forged (as he suggests), since we do not know that To Theodoros is forged and as I said, one cannot simply assume that and use this as evidence when the actual issue is whether or not it is forged. If so it is a circular reasoning. Then of course it was no secret that most manuscripts had been carried off to Jerusalem and that Morton Smith therefore would not have had any great expectations to make a major discovery. Watson writes that the “Nicodemus fragment and the letter to Theodore are discovered in similar circumstances narrated in similar language.” But what kinds of parallels are there really when Watson in Hunter’s novel finds that Sir William Bracebridge at a meeting back in London uses the word reconciled, while Smith wrote that he was reconciling himself; both to something negative, yet expressed differently? Really far-fetched! If you search for these kinds of similarities, you are bound to find some. Besides, there really are no “similar circumstances”. 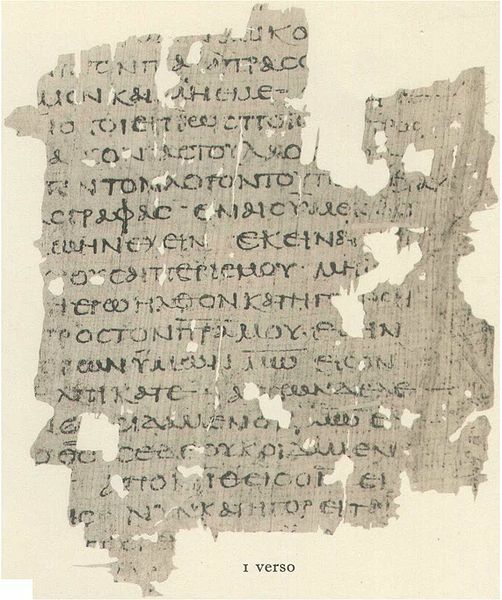 Watson also claims that the “two Mar Saba discoveries are … similar in content.” To show this he says that in both cases a “short but sensational excerpt of an early text is discovered”. Now seriously, this is really generally expressed. What else could they find? In Smith’s case he did find many non-sensational finds and this one was the sensational one. Are we then to suppose that he forged it because of this? Or shall we believe that he was inspired by Hunter to produce a sensational text? Further Watson claims that the discovery was made “together with a text or texts dating from the second century (manuscripts of Hermas and Barnabas, and of the letter to Theodore, respectively).” This is not entirely correct. It is (as far as I can see) never said in the novel that The Shepherd of Hermas and The Epistle of Barnabas are from the second century and as you probably all know, they could be from the first century. In the novel there are three separate documents, one for each book; and the third, The Shred of Nicodemus, is dated to the first century. This Shred of Nicodemus is never said to be “short” and is for sure no excerpt from a letter of Clement. So The Shred of Nicodemus is not short, not necessarily found together with a text or texts dating from the second century and there are separate documents found. The Mar Saba letter on the other hand is only one letter, with two short excerpts from Secret Mark and the letter could well have been written by Clement in the third century. But the real problem lies in the causality. We are supposed to believe that Smith read a poor apologetic spy novel, got inspired to make a forgery in a similar fashion, which includes having a similar name as the Chief of the London police, Lord Moreton, a minor character being introduced late in the story, then started to study different fields in order to acquire the competence needed for the task. He then managed to get permission to visit Mar Saba, in spite of their restrictions, in order to plant his forgery. As I understand it Smith was given a special permission as a personal gesture to catalogue books at Mar Saba. What are the odds that someone being inspired by a novel to make a forgery at Mar Saba, also would get permission to examine manuscripts at Mar Saba? Because, one needs to assume that this was the causality in this context. I would say that the only reasonable influence by the book on Smith, would be if he saw the title and came up with the idea to make a forgery and plant it at Mar Saba, as he was planning on going there anyway. But then he just as easily could have come up with that idea for a number of other reasons. 12. Bart Ehrman noted the significant humor of Theodore being found into the flyleaves of Epistolae genuinae S. Ignatii Martyris, Isaac Voss, 1646. This is ironic because the book concerns itself with forgeries. (page 20). 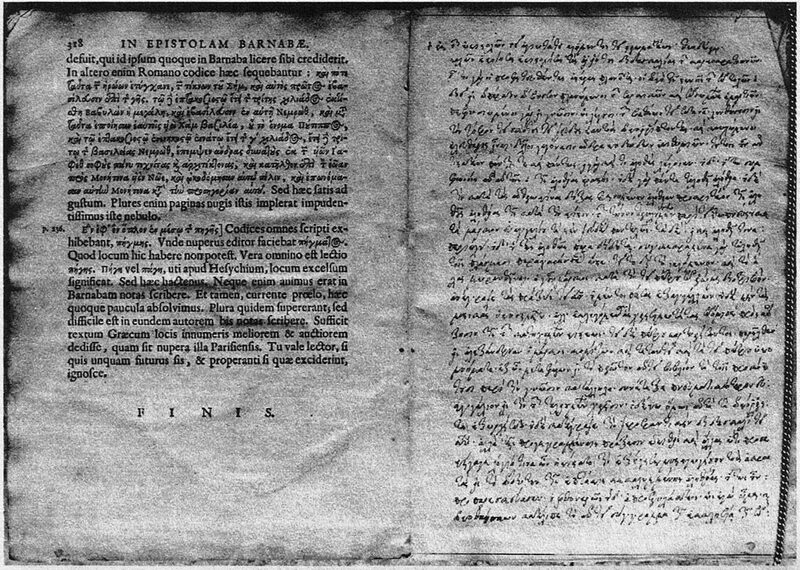 Vossius’ book was the first edition where the “forged” letters of Ignatius were excluded. Further at the end of the book Vossius also comments upon interpolations found in the Epistle of Barnabas. The next page was then the previous blank page onto which the first page of the Clement letter was inscribed. Ehrman saw it as ironic that the letter found by Smith was inscribed in a book which concerned itself with forgeries. This is really hard to refute, as there is nothing substantial involved in the claim made by Ehrman. Sure it might seem intriguing that the letter was inscribed in this particular book – but only if also Clement’s letter to Theodoros is a forgery and its author decided to leave an ironic clue behind. As I said previously, since we have no proof that the letter is a forgery; there is no connection between someone dealing with forgeries and the Clement letter. Besides, I guess that most editions of ancient authors’ collected works also deals with the issue of authenticity. And if the letter would have been inscribed in another book, I am sure that it would deal with something else which also could be made to look suspicious – if you are out looking for clues – being a “clue hunter”. Ehrman himself is cautious not to make too much out of this, and I think that this is wise. 13. SC identifies within Secret Mark support for Morton Smith’s own previous works. a. The coupling of ”the mystery of the kingdom of God” with a forbidden sexual relationship supports Smith’s earlier linkage in 1951 of Mark 4:11 with forbidden sexual relationships (page 81). b. The similarity of Secret Mark to the Lazarus story in GJohn supports Smith’s 1955 contention that Mark used a ”source with Johannine traits”. * Hagigah 2.1 and parallels. ** Cf. Clement of Alexandria, Strom. 1.1.13–14 etc. Mark 4:11 is not mentioned here. Smith only compares the rabbinic conception of the throne of God to Clement’s secrecy. The forbidden sexual relation is missing. The only link is two consecutive footnotes, and really, how much can one make out of that? After all Smith was a scholar who dealt with Christianity. What can we make out of the fact that he a few times referred to Clement, a few times quoted from the gospel of Mark? Again, those who can manage Swedish can always read my more thorough evaluation of this in Är Klemensbrevet designat för att spegla Morton Smiths föreställningar? 14. SC notes that apparently free flowing salt adulterated by adding another ingredient is an anachronism. See page 60.
a. 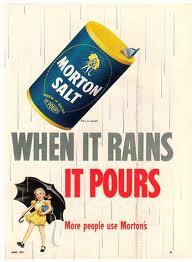 ”Morton” salt is considered a confession. (This could be a mere coincidence). However, if this is true, then Secret Mark is salted with clues. And Hershel Shanks strengthened this by quoting from the Talmud, where it is said that salt can be mixed with other ingredients. He says: “In antiquity salt was regularly mixed with other substances.” (Hershel Shanks, Restoring a Dead Scholar’s Reputation, Biblical Archaeology Review, November/December 2009, 60. 15. According to SC, M.Smith also buries a reference to ”Smith” in the commentary on the text, Jeremiah 28:17. This is also considered a confession. (This could also be a coincidence). Carlson’s claims that Smith apart from leaving the clue of the salt in Morton Salt company, also buried a reference to “Smith” in the commentary on the text, Jeremiah 28:17 from LXX (= Hebr. 10:14) where it is said that “every person is made dull from knowledge … because they have cast false things, there is no breath in them.” But, according to Carlson, “the linkage to Matthew 5:13’s use of ‘cast out’ works only in English, not in Greek.” Then Carlson suggests that Smith associated two words in English which in the original Greek has no connection. However, Smith never translated the Greek from Jeremiah. The translation was presented by Carlson. And there is nothing that shows that Smith ever made a connection between the “cast false things” in Jeremiah and the “cast out” in Matthew. “Since the only commonality Carlson could perceive between Matt 5:13b and the quotation from Jeremiah was the verb ‘cast’ in his own English translation, Carlson deduced that Smith made an unthinkable exegetical error. 16. Theodore and Secret Mark are almost too good to be true. a. 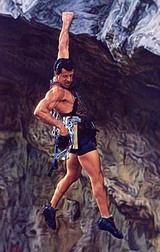 The cliff hanger right at the end is extemely convinient. If any more was revealed about Clement’s alleged secret gnostic doctrine, the harder it would be to defend. b. Jesus is so gay that no only is it said he loves the youth and the youth loves him, but he will have nothing to do with three women. I do not know how to refute a statement that the letter and Secret Mark are almost too good to be true. I do not know what Carlson means with the word “good”. The cliff hanger at the end is strange, but as Charlie Hedrick puts it in an email to me: “It really is not possible to know why the letter ends where it does—unless you happened to be there at the time of the writing/copying”. It is therefore impossible to know why it ended just as the true interpretation was about to be revealed. Yet, if we are to believe what the letter says, the true interpretation was only meant to be given to the initiated ones, and if someone (Clement, Theodoros or their friends) decided to save the letter for posterity, then it is reasonable that the true interpretation was cut off from the letter so that those not worthy would not get hold of this interpretation. That Jesus would be so gay that not only is it said he loves the youth and the youth loves him, but he will have nothing to do with three women, I do find to be rather comical, and I chose not to refute it since it basically is “irrefutable”, yet funny. Though my website in general has many other posts on the subject of Secret Mark, including responses to Peter Jeffery’s critiques, as well as those of Andrew Criddle. Your own summary here is very useful, and much appreciated by those of us who remain supporters of the authenticity of Secret Mark. Your reply was delayed because my blog is set to put every reply with more than 3 links in a wait queue. I do appreciate your work and was especially fascinated by your post on the Chiasm for Secret Mark. I have neglected to put your blog on my Blogroll, something I intend to do now. ”Again the translation ‘remained with him that night’ or ‘stayed with him that night’ is a modern expressions which often means that people sleep with each other.” – So what did in fact this expression mean in the days of ”Mark” (whenever these were)? It meant exactly what it literally means in English (or in Swedish); they spent some time together (in this case during the night). But it was no different from spending the day together. Jesus was “teaching” the youth something. What he taught him and in what way, could always be discussed. But in our days “spending the night together” has in a figurative sense come to mean sleeping together and making love. I know of no such meaning in ancient Greek; nor has anyone among the forgery proponents presented an example where this expression was used in such a way.